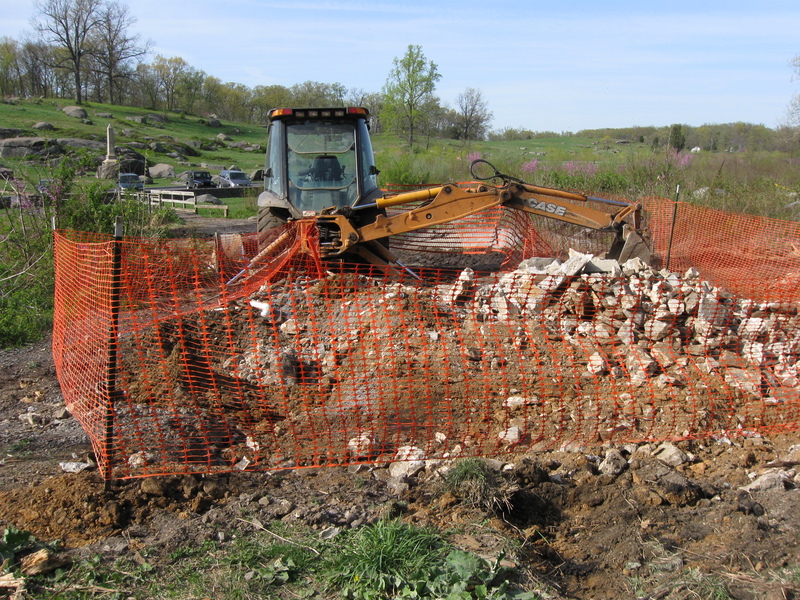 The National Park Service demolished the Devils Den Restroom last week in order to give the “Slaughter Pen” area a look closer to what the soldiers might have seen in 1863. The large rocks at Devils Den are in the background. This view was taken facing west at approximately 4:30 PM on Monday, April 12, 2010. 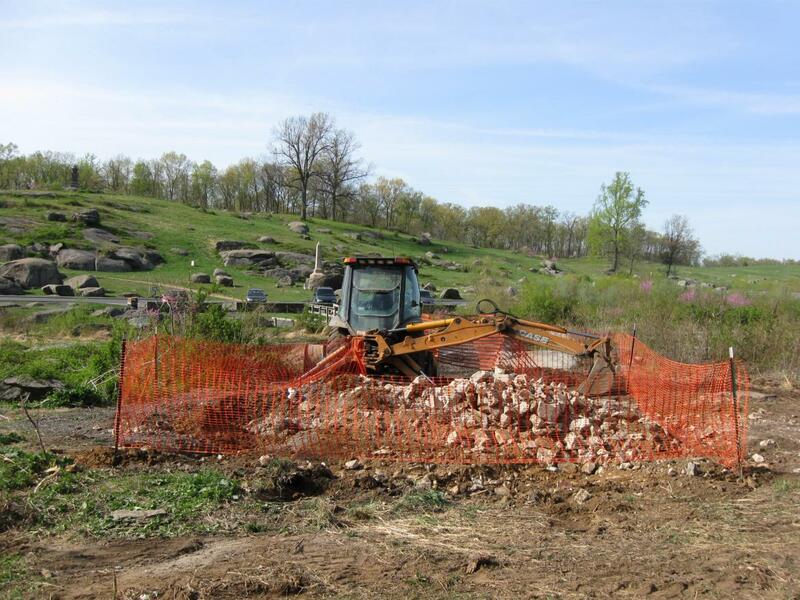 The National Park Service demolished the Devils Den Restroom last week. We walked around the pile of rubble that is all remaining of the restroom and give you an idea of what the area will look like in the near future. 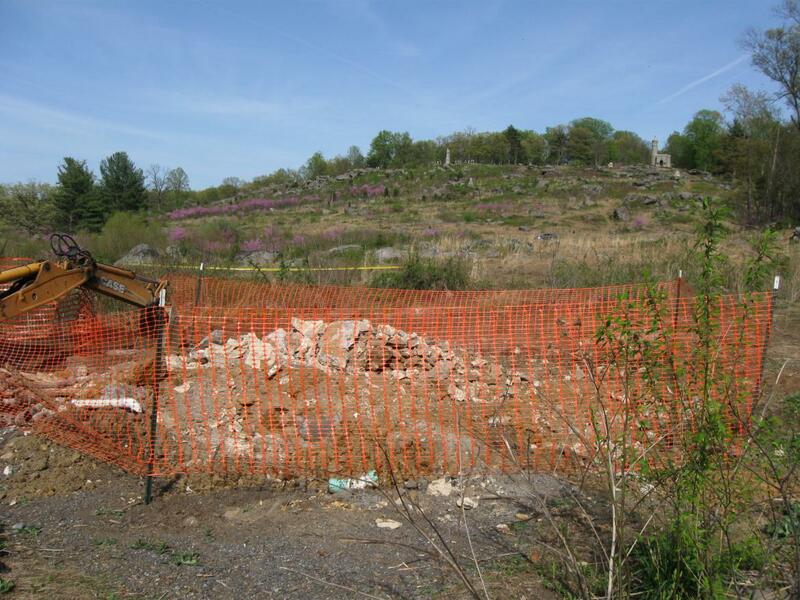 The National Park Service has closed off the bridge over Plum Run/Bloody Run to deny access to the restroom site from the Devils Den parking lot. 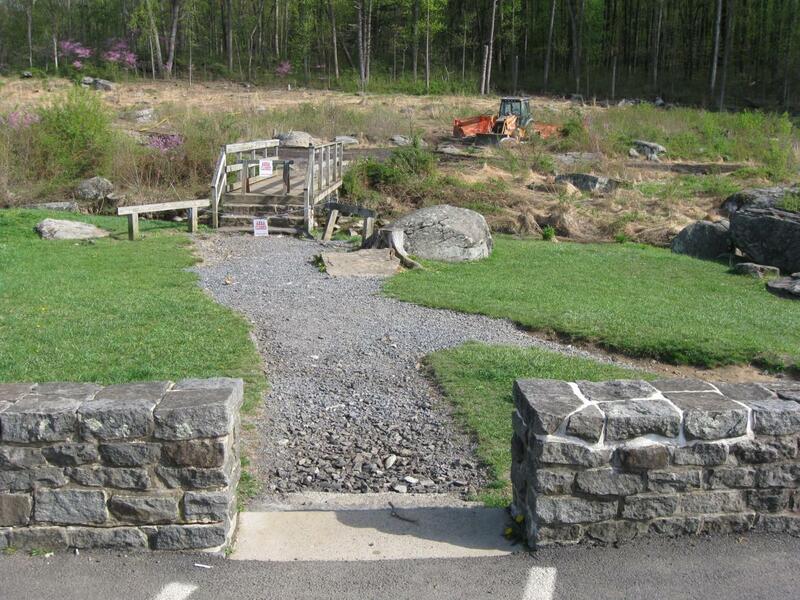 However, there are four other trails/paths/roads that lead to the restroom that the NPS didn’t close. We used those. This view was taken facing southeast at approximately 4:30 PM on Monday, April 12, 2010. 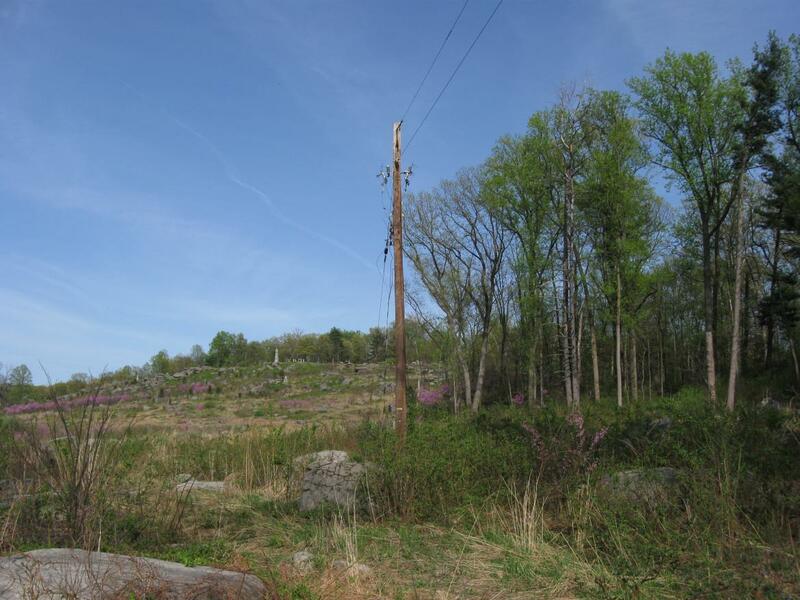 The woods of Big Round Top are in the background, as are the utility lines that have not yet been removed. This view was taken facing southeast at approximately 4:30 PM on Monday, April 12, 2010. This view was taken facing west at approximately 4:30 PM on Monday, April 12, 2010. The same view, but we are near the trail leading to Big Round Top. This view was taken facing west at approximately 4:30 PM on Monday, April 12, 2010. Houck’s Ridge is in the background. This view was taken facing north at approximately 4:30 PM on Monday, April 12, 2010. A closer view of the rubble. This view was taken facing north at approximately 4:30 PM on Monday, April 12, 2010. 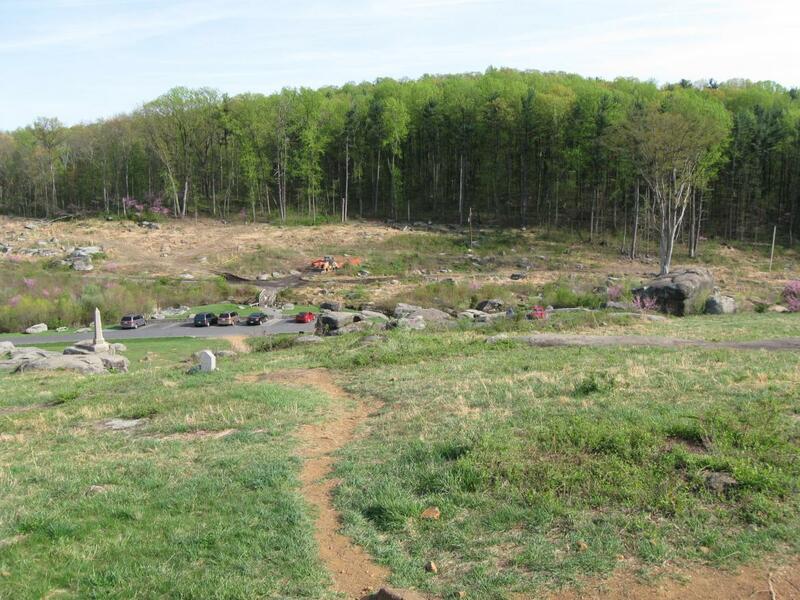 Little Round Top is in the background. The purple trees are red bud trees. This view was taken facing northeast at approximately 4:30 PM on Monday, April 12, 2010. This view was taken facing northeast at approximately 4:30 PM on Monday, April 12, 2010. Again, the utility lines to the restroom have not yet been removed. This view was taken facing northeast at approximately 4:30 PM on Monday, April 12, 2010. A view of the “Slaughter Pen” from Houck’s Ridge. 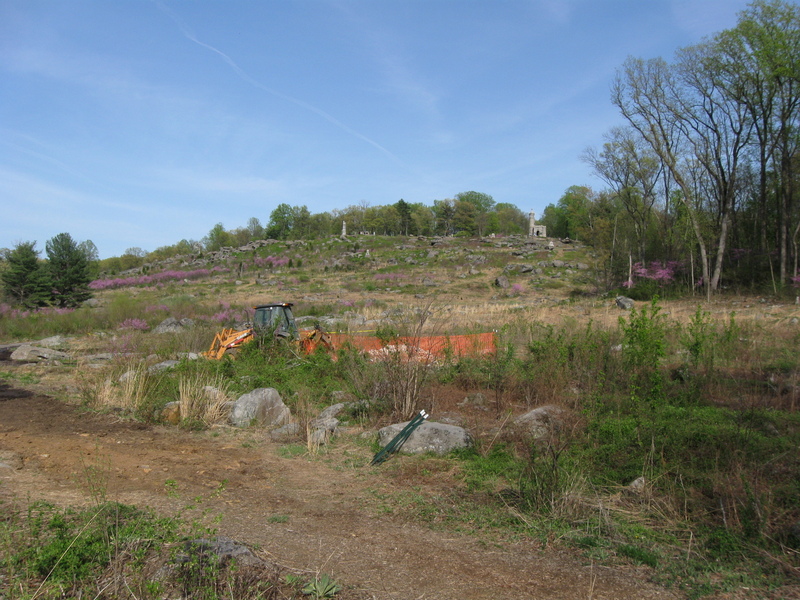 Big Round Top is in the background. 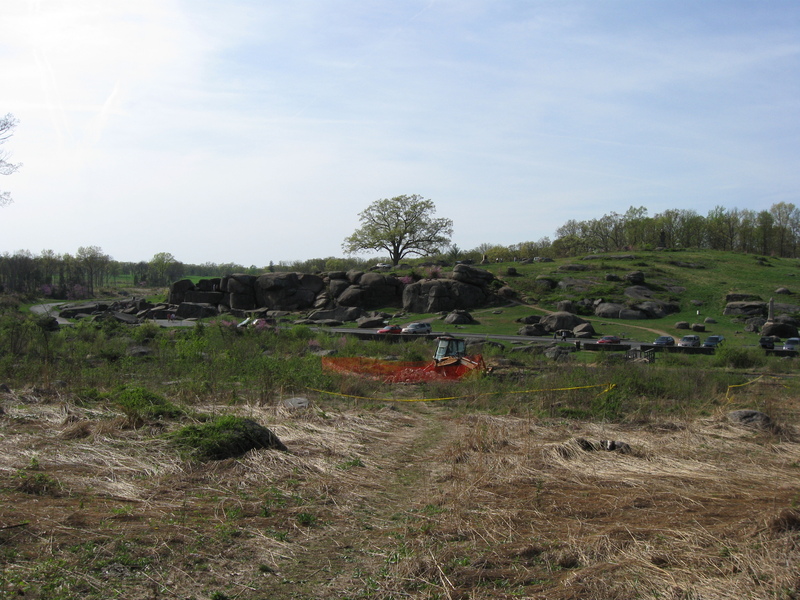 This view was taken facing southeast at approximately 4:30 PM on Monday, April 12, 2010. Life Imitates Art: NPS Places Port O Potties in the Area of the 20th Maine Monument on April 5, 2010. 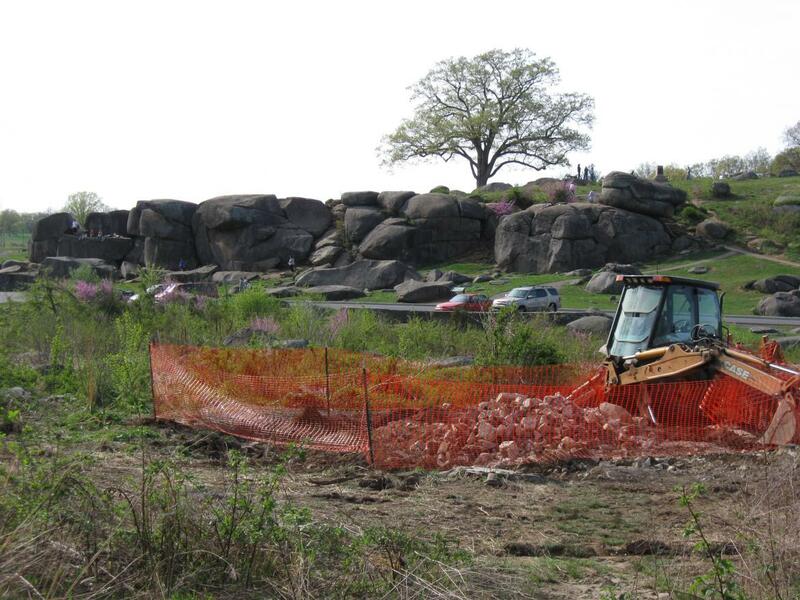 Devils Den Restroom Removed and Relocated. 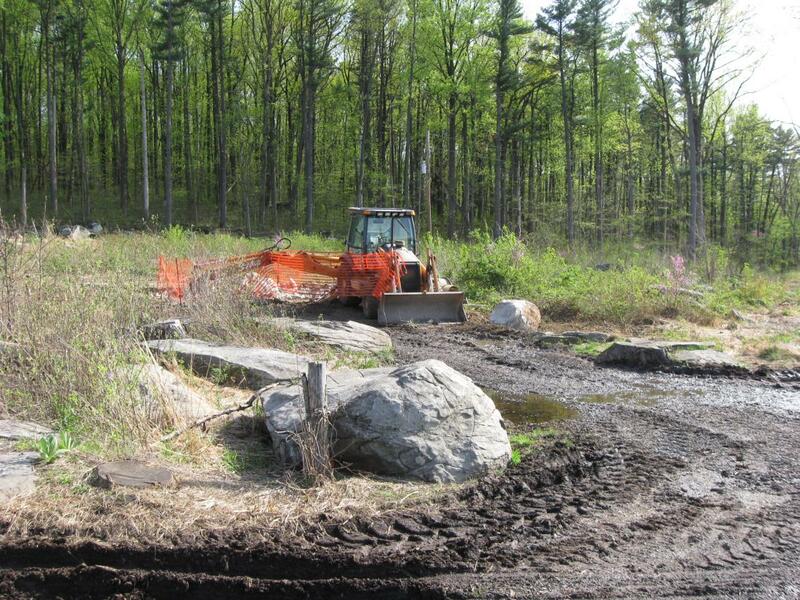 And Relocated on April 1, 2010. Devil’s Den Restroom the Final Months on February 4, 2010. 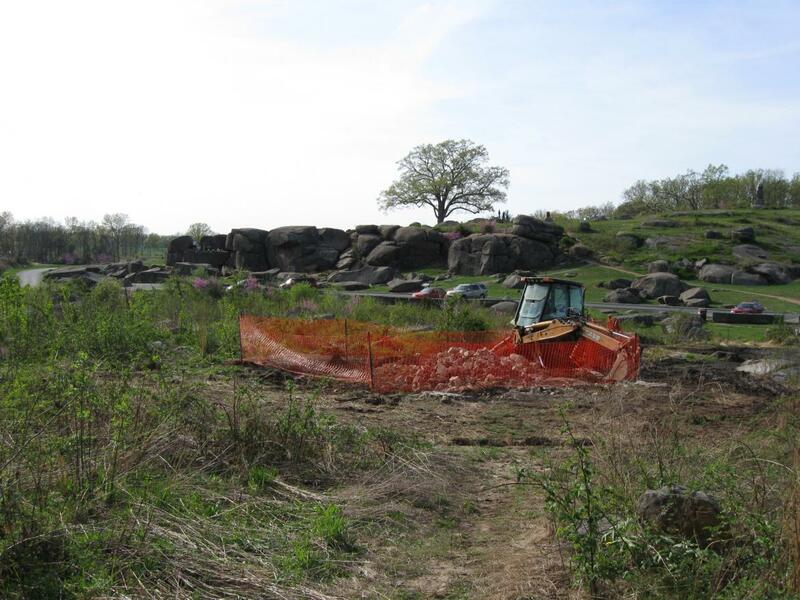 Power Lines, Ground Disturbance, and the Inadequate Devils Den Restroom on September 5, 2009. McMillan Woods Water Line Construction Part 2 on August 30, 2009.